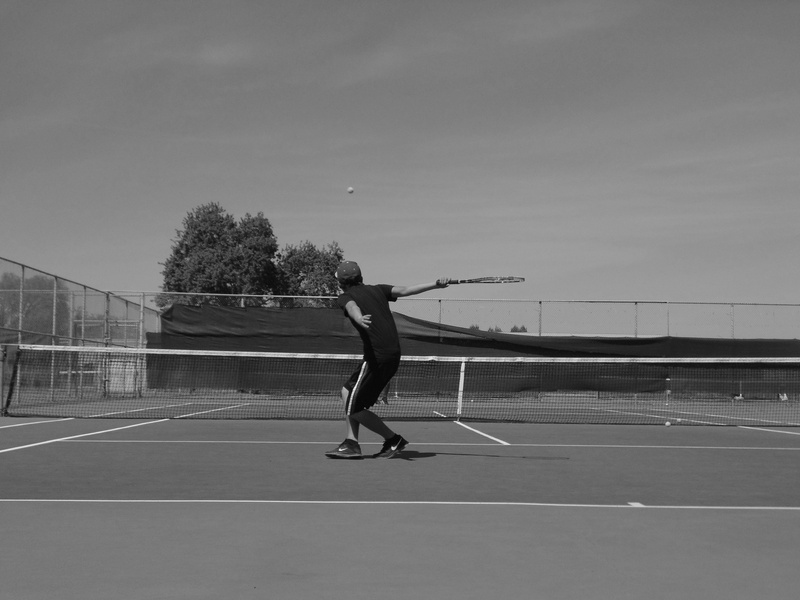 Took this before playing some tennis. This is my schools batting cages. This area is hardly ever cleaned. I love this shot as it is simple and combines three passions of mine: Sport, architecture, and photography. 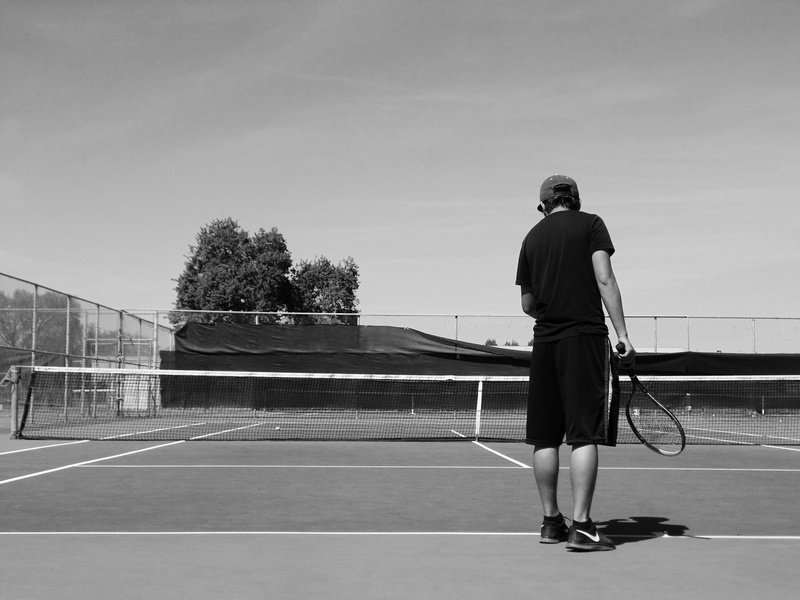 I love basketball more than tennis, however, I would have to choose tennis to pursue playing as it is easier on my body. Plus I’m only 5’9 which doesn’t help in either sport. I do play hard in both sports and would love to play on a basketball team. 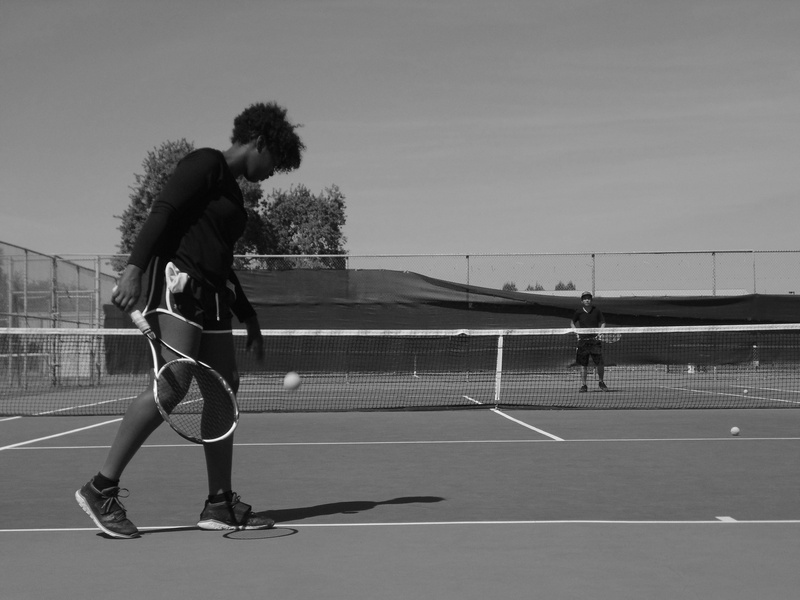 I just pursuing tennis as more favorable to me in the long run. Did a lot today but I still have a lot more to do. I wasn’t able to do everything that I wanted to do, but there is still time before midnight. I’m narrowing my focus and cutting off things that don’t really help me in the long run. Also will be limiting my entertainment which I have done to a certain point which has be being more productive. Going to focus on storytelling (photography, filmmaking, writing) and fitness. I’m interested in being a traveling photography and filmmaker while also pursuing sports coaching or at least get a certificate to coach athletes one on one. I can find ways to combine both storytelling and fitness, it will be a long progress but will be truly worth it. Nothing like some good tennis to get your day started. I was able to take a few shows before getting some practice in. I love experimenting with shadows and lines. I wanted to show that you want the ball to be on the other side of the court. You always aim above the net not at it. Meaning you must set hug goals for yourself and an even higher one. You can win a point after a long volley, an excellent ace, or even a smash. Whatever it takes score all the points you need to capture the win aka your dreams. Never give up and never give in.